In January-July this year, 13.299.9 million cubic meters of natural gas were transported through main gas pipelines in Azerbaijan and this is by 0.8 percent more compared to the same period of last year. 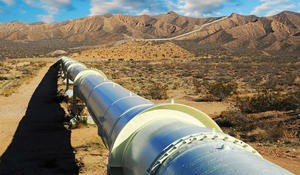 The private sector of Turkey can get involved in the transportation of Azerbaijani gas through the Baku-Tbilisi-Erzurum pipeline. The recent events in Turkey have not affected the operation of the Baku-Tbilisi-Ceyhan (BTC) oil pipeline and the Baku-Tbilisi-Erzurum gas pipeline (South Caucasus Pipeline), says BP Azerbaijan, operator of pipelines in Azerbaijan and Georgia. 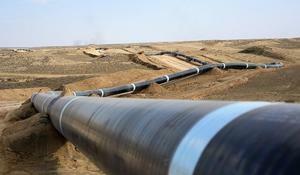 The supply of natural gas via the Baku-Tbilisi-Erzurum gas pipeline has been resumed. An explosion has damaged a section of the Baku-Tbilisi-Erzurum (South Caucasus pipeline) gas pipeline in the Sarikamis region of Turkey’s Kars province, the Anadolu Agency reported on August 25. The Baku-Tbilisi-Erzurum (South Caucasus pipeline) gas pipeline’s section in the Sarikamis region of Turkey’s Kars province was blasted, the Anadolu Agency reported on August 4. The expansion of the Baku-Tbilisi-Erzurum gas pipeline, which transports gas from Azerbaijan's Shah Deniz field in the Caspian Sea, will lead to an increase in the transit of gas to 16 billion cubic meters which will allow Georgia to get more benefits, Energy Minister Kakha Kaladze told journalists on Tuesday. The project of developing Azerbaijani gas condensate field Shah Deniz in the Caspian Sea is one of BP's most significant projects in Eurasia, British Petroleum director for international affairs Greg Saunders said at an international conference organized by the Jamestown Foundation in Washington on Tuesday.